 Today, Comanche County memorial Hospital is a 283-bed regional referral center and integrated delivery system providing medical services in virtually every specialty. The success of this progressive organization has been made possible through the courage, foresight and spirit of human kindness of the citizens of Comanche County and is a direct result of the vision and leadership of people too numerous to name. As we reflect upon over 60 years of community service, it is rewarding to know that we are still living the charitable mission for which we were founded half a century ago – to provide access to comprehensive and quality healthcare for all. As we look to the future, we are reminded that our purpose has and will always be to enhance the quality and quantity of life of those we serve in Southwest Oklahoma. In 1948, a group of community visionaries had a dream. 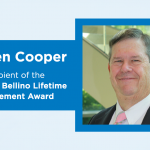 Their goal was to build the most technologically advanced and modern hospital in the country, to serve the healthcare needs of the people of Southwest Oklahoma. The fulfillment of this mission would require community support and federal funding. The first step was to obtain funding from the Hill-Burton program. 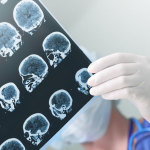 This program was established in 1946 to help modernize existing hospitals that suffered losses during the Great Depression and World War II, and to help build new hospitals in rural communities so medical care could be more readily available. Once Hill-Burton funds were approved, a bond issue was put to a vote of the people of Comanche County. The bond issue, requiring at least 60% of the vote, was passed on April 21, 1948 and Comanche County Memorial Hospital was born. The Hospital’s name, selected by County Commissioners, was a tribute to the memory of servicemen who died in the war, and reflected the intended service area. 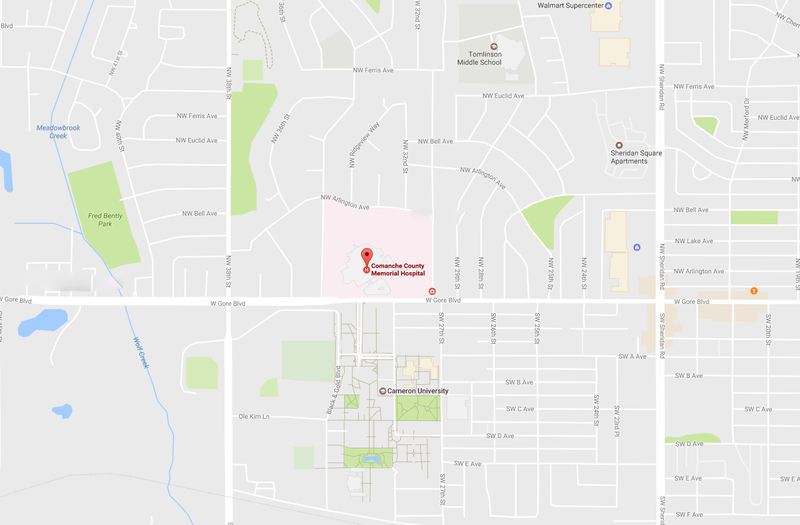 In the summer of 1948, construction of the 100-bed, 52,000 square foot, four-story hospital began on a 10-acre tract of land donated by Emma and W.E. “Curlee” Tomlinson. The total cost of the project would total $900,000 including all equipment, furnishings and facilities. When the hospital officially opened its doors on September 1, 1951, it was apparent that the vision the community had for this new state-of-the-art hospital was truly inspired. 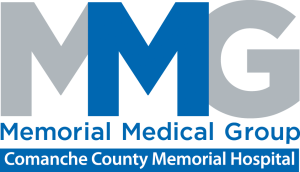 Comanche County Memorial Hospital had already been named the “Modern Hospital of the Year” in a nationwide competition based upon excellence of architectural design, functional planning, economy of construction and operation and proper provision of hospital needs of the community. Due to the overwhelming need of hospital services, over 1,000 people had already been admitted and treated before its official opening. Despite its modern design and the tremendous need for such healthcare services in Southwest Oklahoma, the first several years of operation were trying. It has been said that had it not been for the support and financial backing of the Chairman of the Board of Control, Comanche County Memorial Hospital would have closed its doors. There are many stories of Mrs. Margaret Day. A well-respected businesswoman and philanthropist, she was regarded by those who knew her best, as a quiet and kind spirited leader with a perseverance and drive to keep the hospital open. It was reported by many that during the first few years the hospital was open, monthly expenses and payroll often could not be met. In these instances it was common for Mrs. Day to write personal checks to cover expenses. Once physician remembered delivering a check to the hospital on her behalf for over $18,000. It was all part of her staunch belief that this hospital must remain to assure access to comprehensive healthcare for all. Mrs. Day continued to be an integral part of Memorial’s operations until her passing in September, 1961. With the growing need for expanded services and facilities, soon the hospital began to prosper and grow. Since its beginning, Memorial has embraced change continually to improve service through growth, expansion and the addition of improvements in technology and specialty care.